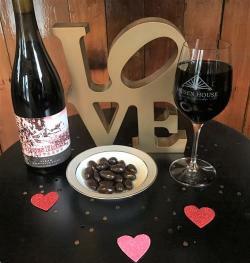 When we think Valentine’s Day, we think wine and chocolate—even better when it’s local! 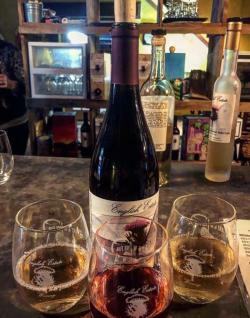 Members of the SW Washington Winery Association have put together the perfect date activity for you and your honey, or the gals in your life, the weekend following the love-centric holiday. 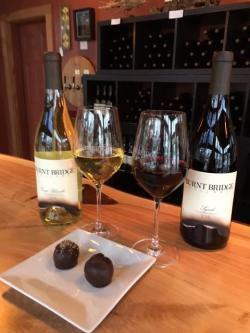 Operating out of a converted 30s-era auto garage, downtown’s Burnt Bridge Cellars is pairing any of the 10 wines open for the weekend with truffles from Fleur Chocolatte. Co-owner Mark Mahan said partnering with Fleur was an easy choice. In fact, they were recently ranked as the best chocolate shop in Washington State! For $12, you can expect to pair your glass of a fruit-forward white or deep, dark Syrah with a dark chocolate or ginger truffle. Join Vancouver’s oldest vineyard and winery for a cozy tasting in their historic 1915 barn’s Loafing Shed. From 12 to 6 p.m. Saturday and Sunday, pair English Estate wines with Peggy’s Handmade Chocolates—that’s right, handmade right here in Vancouver! In addition, English Estate is hosting a “Good Times & Wine” event on February 15 with a surf and turf dinner by Camas’ Coast to Coast and live music by Dan Dingman. You must register for this event by Thursday in order to attend. About a half an hour drive from downtown Vancouver, get a view of Heisen House Vineyards&apos; historic 1898 Victorian farmhouse while visitors taste in the neighboring former milk house. Pair special chocolate-infused releases “Cupid’s Arrow” and “Love Potion No. 9” with organic, fair trade truffles from Liveat. “We love that Liveat makes their chocolates every step of the way—from importing the raw beans to grinding them, to sweetening and flavoring them with agave that has been infused for weeks and then crafting that into delicious geometric-shaped chocolates wrapped in colorful bright foils!” said Michele Bloomquist, owner of Heisen House. 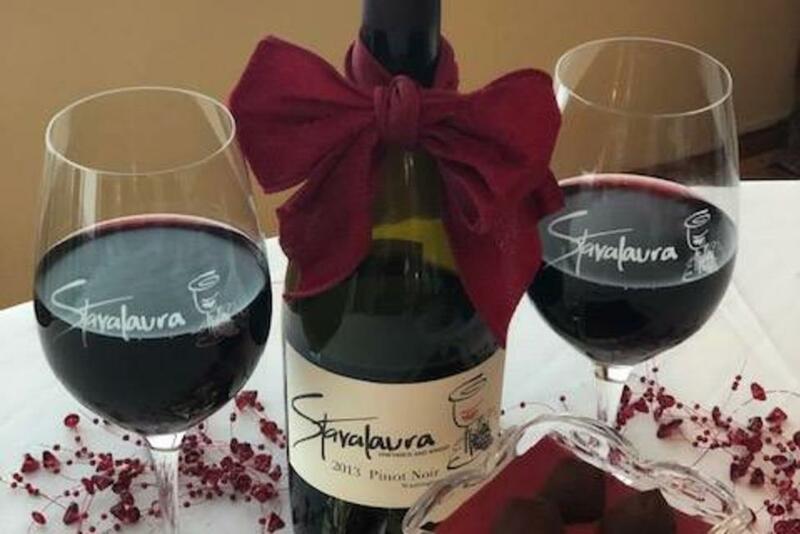 While you are enjoying your Peruvian chocolates and sips of five wines, learn about how these Valentine staples are made, and get tips on how to pair wines with chocolates and other foods. The “we” she is referring to is her other half Dan, and together they are the youngest winery owners in the area. But Pomeroy Farm has roots dating back to the early 1900s and that history is how they found their chocolatier for the event. Jason’s father used to be a farrier contracted by Pomeroy Farm to care for the horses. 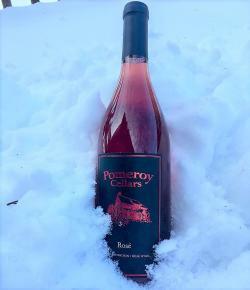 The $15 tasting fee will include six wines (including a new rosé) and four chocolates. To find other participating wineries and chocolatiers, visit www.swwawine.com.